A database server is an critical component of the network infrastructure necessary for today’s applications. Without the ability to store, retrieve, update, and delete data (when needed), the usefulness and scope of web and desktop apps becomes very limited. In addition, knowing how to install, manage, and configure a database server (so that it operates as expected) is an essential skill that every system administrator must have. In this article we will briefly review how to install and secure a MariaDB database server and then we will explain how to configure it. In CentOS 7.x, MariaDB replaced MySQL, which still can be found in the Ubuntu (along with MariaDB). The same is true for openSUSE. For brevity, we will only use MariaDB in this tutorial, but please note that besides having different names and development philosophies, both Relational DataBase Management Systems (RDBMSs for short) are almost identical. This means that the client-side commands are the same on both MySQL and MariaDB, and the configuration files are named and located in the same places. Note that, in Ubuntu, you will be asked to enter a password for the RDBMS root user. activate the changes associated with 1 through 4. 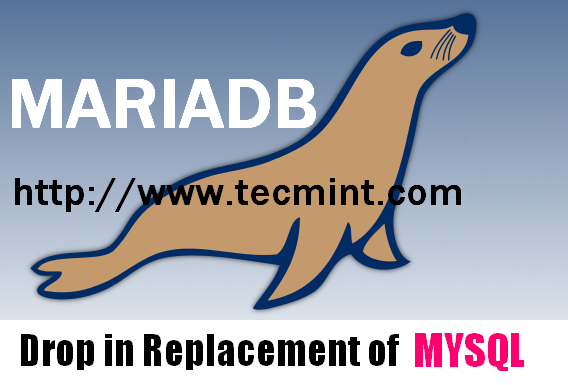 For a more detailed description of this process, you can refer to the Post installation section in Install MariaDB Database in RHEL/CentOS/Fedora and Debian/Ubuntu. The default configuration options are read from the following files in the given order: /etc/mysql/my.cnf, /etc/my.cnf, and ~/.my.cnf. Most often, only /etc/my.cnf exists. It is on this file that we will set the server-wide settings (which can be overridden with the same settings in ~/.my.cnf for each user). The first thing that we need to note about my.cnf is that settings are organized into categories (or groups) where each category name is enclosed with square brackets. bind_address is the address where the database server will listen on for TCP/IP connections. If you need your server to listen on more than one IP address, leave out this setting (0.0.0.0 which means it will listen on all IP addresses assigned to this specific host). port represents the port where the database server will be listening. innodb_buffer_pool_size is the buffer pool (in bytes) of memory that is allocated for data and indexes that are accessed frequently when using Innodb (which is the default in MariaDB) or XtraDB as storage engine. skip_name_resolve indicates whether hostnames will be resolved or not on incoming connections. If set to 1, as we will do in this guide, only IP addresses. query_cache_size represents the size (in bytes) available to the query cache in disk, where the results of SELECT queries are stored for future use when an identical query (to the same database and using the same protocol and same character set) is performed. thread_cache_size indicates the numbers of threads that the server allocates for reuse after a client disconnects and frees thread(s) previously in use. In this situation, it is cheaper (performance-wise) to reuse a thread than instantiating a new one. Then restart the MariaDB service. The query_cache_type setting indicates whether the query cache is disabled (0) or enabled (1). In this case, mysqltuner is advising us to disable it. So why are we advised to deactivate it now? The reason is that the query cache is useful mostly in high-read / low-write scenarios (which is not our case, since we just installed the database server). WARNING: Before making changes to the configuration of a production server, you are highly encouraged to consult an expert database administrator to ensure that a recommendation given by mysqltuner will not impact negatively on an existing setting. As always, don’t hesitate to let us know if you have any questions or comments about this article. Are there any other server settings you like to use? Feel free to share with the rest of the community using the comment form below. Please move this article into the LFCS series and remove the one about Cygwin. Feel free to remove this comment afterwards.